Nursing is a career that continues to be in demand year after year. This is due to both the aging population requiring healthcare and the increasing number of patients having government-mandated health insurance. Unlike in the past where it took four years or more to become a nurse, today it can be accomplished in much less if you are smart about it. Learn below how you can accelerate your education and path to becoming a registered nurse. 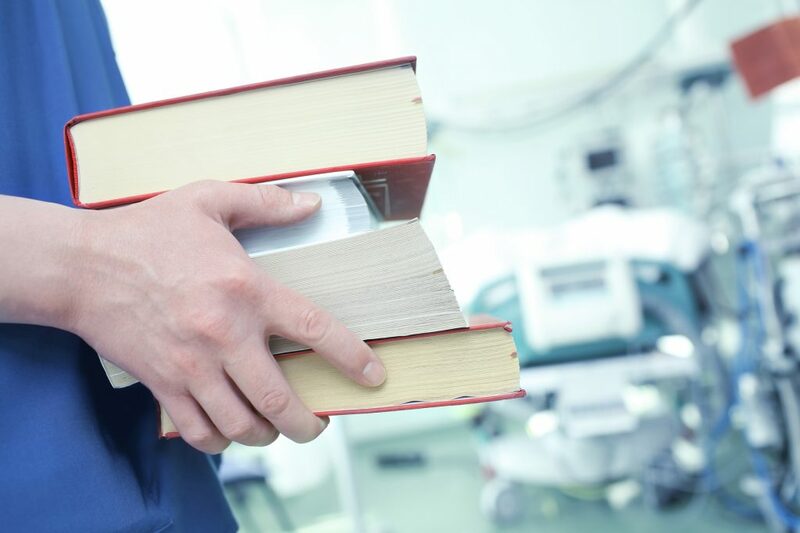 How Long Does it Take to Earn a Nursing Degree? Licensed practical nurses (LPNs) generally must attend school for at least a year. LPN programs offer the student a diploma or certificate of completion. Both RN and LPN students must complete the NCLEX, which is administered through the National Council of State Boards of Nursing. One option that’s become very popular for aspiring nurses in distance learning. Online education allows students to earn their nursing degree at home on their time. Nursing programs are seldom 100% online because both LPN and RN students must complete clinical rotations at a medical facility as part of the nursing program. While both RNs and LPNs are licensed to work in healthcare settings, there are several differences between the two. LPNs can begin working after one year, whereas RNs must attend school for two to four years. RNs can earn bachelor degrees. RNs work under the supervision of doctors while LPNs work under the supervision of RNs. LPNs must pass the NCLEX-LPN, whereas RNs must pass the NCLEX-RN. RNs can become advanced practice registered nurses (APRNs) with additional education and training. RNs can focus on different nursing specialties such as oncology nursing, pediatric nursing, geriatric nursing, cardiac care nursing and clinical nursing, among many others. RNs generally earn higher salaries than LPNs. Individuals interested in becoming nurses have many degree options from which to choose. Nursing diploma – Generally takes at least one year of study. The nursing diploma is often used by LPNs. Associate degree in nursing – This takes at least two years of study and is usually used by RNs, although LPNs may also earn associate degrees. Bachelor degree in nursing – This takes four years of study and is used by RNs. Master degree in nursing – This takes at least two years of study beyond the bachelor degree and is used by registered nurses who are studying advanced areas of nursing or pursuing leadership positions in a healthcare setting. Doctoral degree- This is an additional one to two years beyond the master degree and is used by RNs who wish to teach, work in research, or positions of leadership. It should be noted that the time required to become a nurse might be different for online nursing students because they’re working at their own paces. The U.S. Bureau of Labor Statistics (BLS) states that nurses in general will see positive employment opportunities. In fact, the BLS predicts that both RNs and LPNs should see job growth of 16 percent between 2014 and 2024. Licensed nurses may find work for hospitals, clinics, doctors’ offices, insurance companies, public health and school districts. If the thought of spending many years in college has deterred you from pursuing a nursing career, you now have all the goods and know your options. The great news is that there are several great options to help you join the medical field as a nurse in less time than you ever imagined! I already have my BS in Health Administration, but could anyone tell me what would I have to do to receive my RN. would I have to start over or what? Good info here, Eileen, thanks! One point to mention is the need for pre-requisites for the Associates nursing degree. They usually include chemistry, anatomy, microbiology & physiology. One must complete them BEFORE acceptance to a 2-yr program. (I actually found them tougher than the actual NP)! After the program a student may sit for the NCLEX-RN (highly recommend a prep course prior to this, especially if your school has pass rate of 75% or less). From there a lot of RN’s now choose to acquire their BSN on-line because of the convenience. After evaluating your transcripts, on-line universities determine how many credits/classes you’ll need and from there you proceed through one class at a time. Depending on how much time you put in, you could feasibly finish your Bachelor’s in a year, or less. It took me about 1&1/2 years. One should be certain to confirm the university is accredited for the state for which they live. Also, there’s no hospital clinical because that was done during the ADN, although an involved community research project/paper is required.